bwin is more widely known for their sportsbook, which isn’t surprising considering bwin is short for bet & win. However, after they merged with Party Gaming, they started putting more emphasis on poker and have grown over the years. 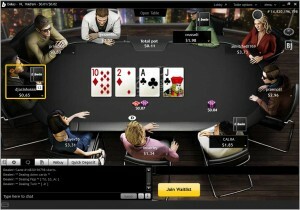 Bwin offers new players a 100% up to $500 deposit bonus. They do NOT accept US players. bwin offers a 100% up to $500 poker bonus and is currently ranked #20 out of 28 reviewed poker rooms with an overall score of 65.67. 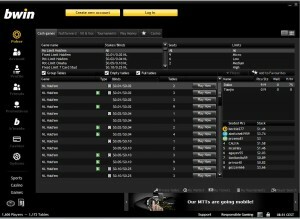 Visit www.bwin.com for more details and to download the official bwin software. bwin doesn’t use any promo codes to activate bonuses, it will automatically be credited upon making a deposit. The only restriction is it must be your first deposit. If you think this bonus may be a good fit for you, you can support Bonus Ace at no cost to you by using our links to visit bwin prior to creating your account. A $500 or larger deposit will trigger the maximum possible bonus of $500. The bonus is cleared by earning Status Points at the rate of 6 times the bonus amount. A $100 bonus would require 600 points, $500 bonus would require 3,000 points, etc. The bonus is released in 10 equal increments. So take your bonus, divide it by 10, and those are the chunks you will receive. The full $500 bonus will release $50 each time 300 points are collected. Status Points are earned at the rate of 2 points per $1 in rake or tournament fees paid. This means 1 point costs $0.50 to earn, and 1 point is worth $0.167 towards the bonus, putting the value right at 33.33%. If you clear the full bonus, you will earn 3,000 points, which add an additional 8.33% in VIP value, increasing the overall value to 41.66%. The bonus must be earned within 60 days, and you have to rake a total of $1,500, which means the rake per day pace is $25, or 50 points per day. 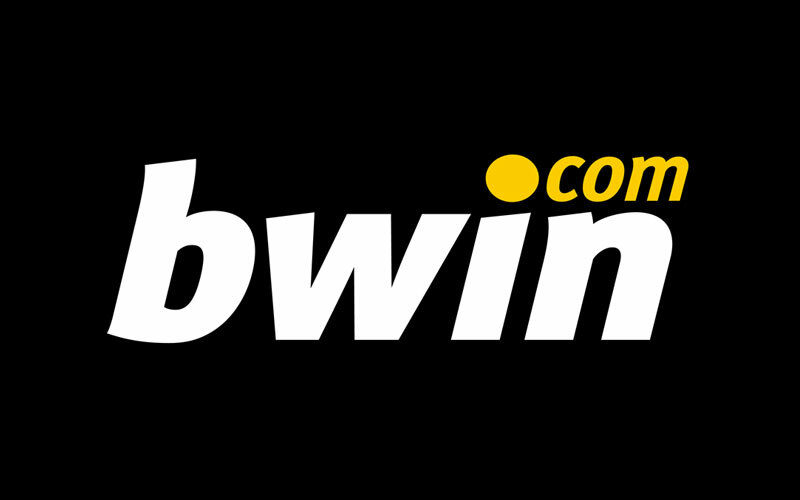 If you’re looking to play now, you can visit bwin.com now from any device or platform and start earning your $500 deposit bonus! Looking to get started? Signup at bwin through Bonus Ace by using the link above. New players can receive the 100% up to $500 opening bonus offered, described in this review.